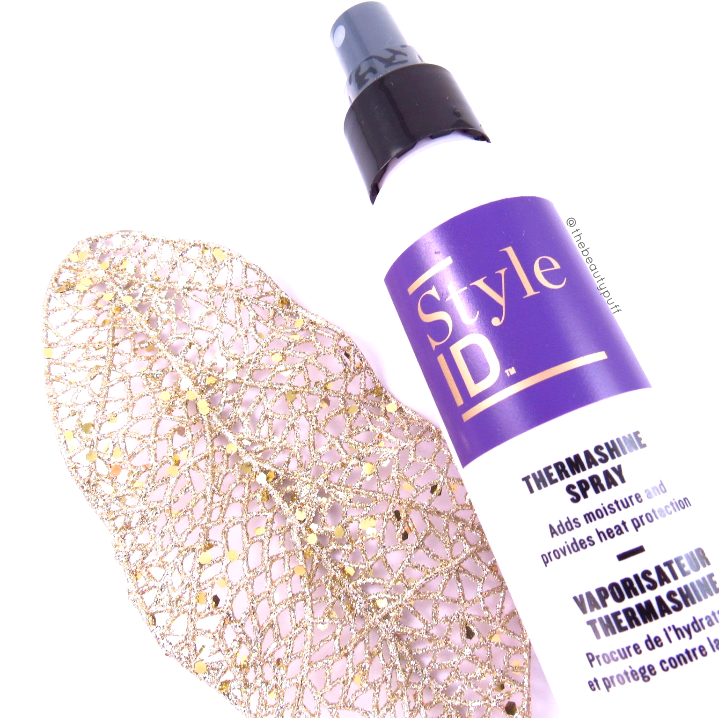 I don't know about you, but my ideal hairstyle is smooth, frizz-free hair. I want a hair tool that can help me get a smooth look whether I've just washed my hair or I'm working with second day hair. The holiday season is busy with errands and gatherings and I don't want to worry about how my hair looks. 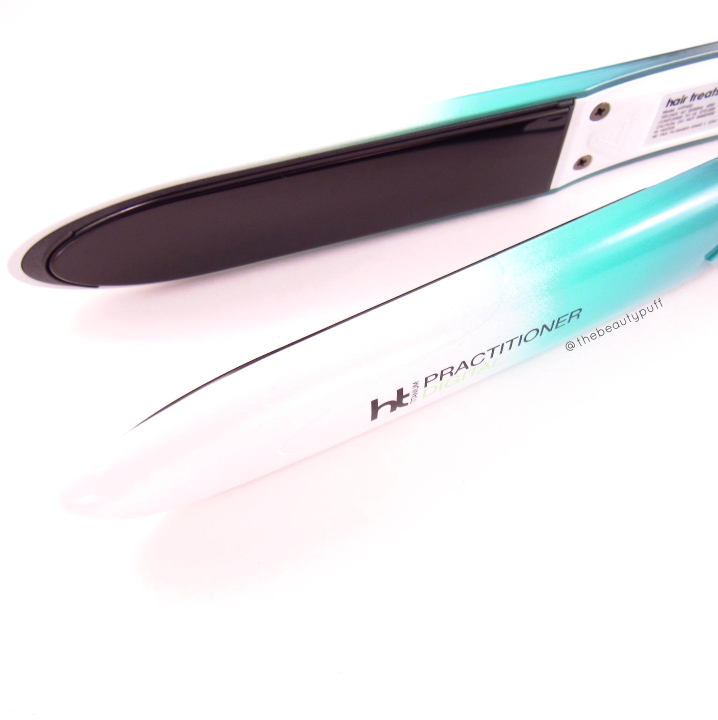 So I love that I discovered Hair Treats Practitioner, a sleek flat iron that's a breeze to work with! I have not always been a fan of flat irons. Many that I have tried have been clunky, awkward to hold, and difficult to use. I love the slim design of the Practitioner. 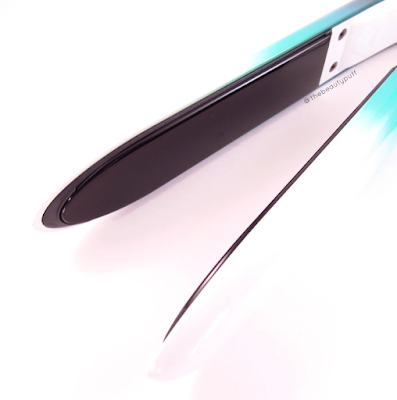 The entire iron is slightly curved and the end is narrow and rounded, making hard to reach areas a breeze! For ease of use, the cord swivels 360 degrees giving you freedom of movement. Temperature controls are easy to adjust and the iron will shut off automatically after an hour as a safety precaution. The plates on this iron are titanium, giving consistent heat with each use so you get a smooth style every time. The temperature is shown on a digital display so you can adjust it to accommodate your hair type (265 - 450 degrees Fahrenheit). It also heats up extremely fast, which amazing for those mornings when you're in a rush! 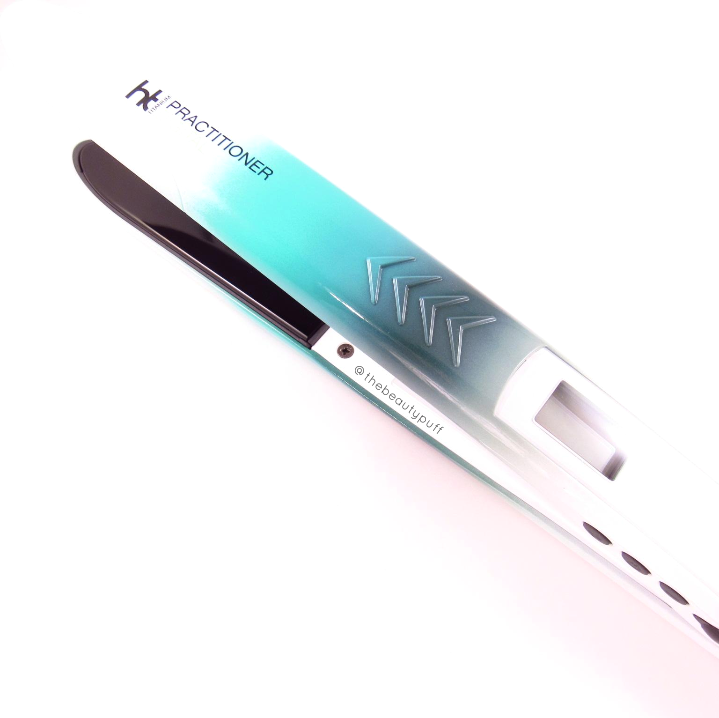 I think the unique styling of the Practitioner is what really sets it apart from other flat irons I've used. 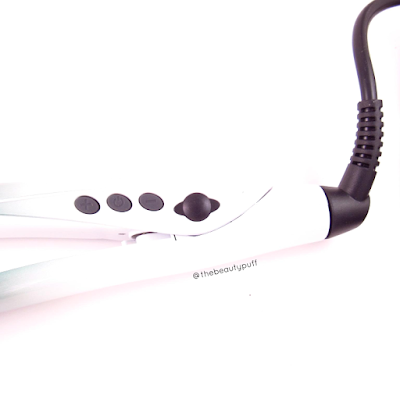 Though the plates are narrow, it still works more efficiently on my thick hair than other larger irons I've used. Not only that, this iron is so much more attractive. I love the simple, clean design with a pop of color!